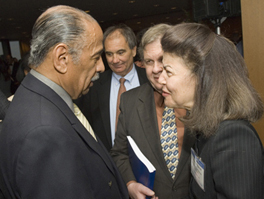 LSC President Helaine M. Barnett speaks with Rep. Conyers. Picture © American Bar Association. On April 18, the American Bar Association (ABA) honored United States Senators Robert Byrd (D-WV), Thad Cochran (R-MS), and Representative John Conyers, Jr. (D-MI) for their efforts to improve access to justice for all Americans, including their support of the Legal Services Corporation. As Chairman and Ranking Member, respectively, of the Senate Appropriations Committee, Senators Byrd and Cochran were recognized for helping provide LSC with its $22 million budget increase in FY 2007--LSC's first budget increase since FY 2003 and LSC's largest appropriation since FY 1995. Representative Conyers--who regularly votes and signs letters in support of increased funding for LSC--was honored for his consistent strong support of LSC. In accepting his award, Conyers said, "Justice for all will save the planet and will lead us to a greater and better day." On April 19, Senator Tom Harkin (D-IA) introduced S. 1167, the "Legal Aid Attorney Loan Repayment Act," to help ease the often-staggering educational debt burdens of civil legal aid attorneys. 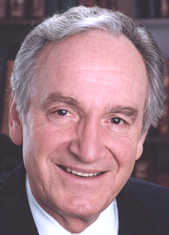 In general, Harkin's bill would provide up to $6,000 a year in loan repayments to attorneys employed full-time in civil legal aid organizations. Applicants would be accepted on a first-come, first-served basis, subject to the availability of appropriations. The bill authorizes an appropriation of $10 million for the program in FY 2008. "This important legislation is critical to ensuring that basic civil liberties are protected for all of our citizens," said Harkin while introducing the bill. "Our promise of 'equal justice under law' rings hollow if those who are most vulnerable are denied access to representation. Legal Aid attorneys across the country protect the safety, security, and health of low-income citizens." The bill will now go to the Committee on Health, Education, Labor and Pensions to await action. For the full text of Harkin's bill and introductory statement, click here. 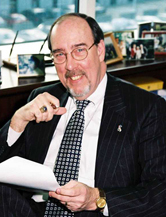 John A. Constance has been appointed Director of LSC's Office of Government Relations and Public Affairs, effective May 7, 2007. LSC President Helaine M. Barnett said, "John Constance will bring a wealth of experience and a fresh perspective to LSC. His credentials include significant Congressional experience, demonstrated professionalism, and great integrity." Constance comes to LSC from the National Archives and Records Administration, where he has been Director, Congressional and Public Affairs since 2000. In this capacity, he managed the agency's congressional and media relations activities, served as lead advocate for the agency's budget before Congress, and oversaw production of print and electronic communications. On April 27-28, LSC's Board of Directors will meet in Little Rock, Arkansas, for their second of four meetings in 2007. The meeting will entail a visit to the Center for Arkansas Legal Services--one of two LSC-funded legal services programs in the state--a VIP tour of the William J. Clinton Presidential Library, and meetings of all four of the Board's committees. Highlights will include a report by LSC staff to the Provision for the Delivery of Legal Services Committee on LSC's new Private Attorney Involvement Action Plan. The Board will discuss their role in increasing private attorney involvement in the delivery of legal services. The Provisions Committee will also hear a presentation from representatives of Arkansas legal services programs on challenges they face recruiting and retaining attorneys. On April 26, LSC President Helaine M. Barnett will speak at the University of Arkansas's Clinton School of Public Service. The topic of her speech will be the relationship between the ability of low-income Americans to access legal services and the concept of justice for all. The Clinton School of Public Service is located on the grounds of the William J. Clinton Presidential Library and helps students develop careers in private-sector, non-profit, volunteer or government work. A wide variety of prominent Americans are invited to speak at the school as part of its Distinguished Lecture series. Other speakers include congressmen, Presidential advisors, CEOs of major companies, and prominent academicians. 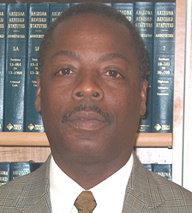 Anthony Young, a protege in LSC's recently-completed Leadership Mentoring Pilot Project, has been named the new Executive Director of Southern Arizona Legal Aid. Young is currently the managing attorney of the Yuma office of Arizona's Community Legal Services. Young truly exemplifies the qualities of the diverse new generation of leaders that LSC's project sought to nurture: technological proficiency, a dedication to serving a diverse client population, natural leadership abilities, and innovative ideas about the future of legal services. Young's mentor, Joseph Campagna, Jr., a Senior Attorney at North Penn Legal Services, was impressed with Young's enthusiasm and the leadership ability he had already demonstrated in the legal services community. Young credits the training he received through LSC's Mentoring project for enhancing his leadership skills. "I had the opportunity to be mentored by a legal services attorney of tremendous experience. This proved helpful to me in broadening how I view issues....I believe that employees benefit when they are afforded the opportunity and ability to network in the legal services community, and to glean from mentors new methodologies, new approaches and broader experiences." The Summer 2007 issue of the Management Information Exchange Journal will include an article by LSC Program Analyst Althea Hayward, in which Young discusses in-depth his views on how LSC can promote, and legal services programs can utilize, technology and mentoring to improve recruitment and retention of high-quality staff. The Chicago Bar Foundation (CBF) has raised a remarkable $900,000 in its inaugural, three-week long fundraising effort, the "Investing in Justice Campaign," to help provide special grants to Chicago's pro bono and legal aid attorneys and thereby help keep them in their critical posts. "We estimate that this year's funding will increase the average salary of the City's legal aid attorneys by between eight and ten percent," said Jenner & Block Partner Anton R. Valukas, who chaired the 2007 Campaign, which took place between March 5th and March 23rd and was joined by hundreds of attorneys at nearly three dozen Chicago law firms and companies. According to Mr. Valukas, the CBF and the Campaign leadership were able to bring Chicago's legal community together around this cause in a way that had never been done before, and the Campaign may serve as a model elsewhere in the country. The Neighborhood Legal Services Program (NLSP) of the District of Columbia has received $674,638 in grants from the D.C. Bar Foundation, a significant award that represents nearly half of the organization's total budget from 2006. According to a press release issued by NLSP, the money will help the organization open two new offices in neighborhoods with high concentrations of crime and poverty. Brenda Harding, executive director of the NLSP, stated, "By adding offices and lawyers we will substantially expand our capacity to help residents in underserved neighborhoods understand and assert their legal rights. We are very pleased that the D.C. Bar Foundation has recognized our ability to provide efficient and effective neighborhood lawyering." The Legal Assistance Foundation (LAF) of Metropolitan Chicago plans to initiate a project to provide a full range of legal services to veterans, including help with disability claims, employment and consumer issues, and the problems facing homeless veterans. The project will be staffed by one full-time lawyer, which according to LAF, will be the only full-time public interest lawyer in the Chicago area providing legal services to veterans. The project will also recruit a panel of lawyers who will provide pro bono legal assistance to veterans. A recent Chicago Tribune article, "Adding Insult to Injuries," highlights the plight of veterans seeking disability benefits, noting that Illinois ranks among the bottom for average annual benefits compensation, and that Chicago is one of the five slowest cities to process disability claims. To read "Adding Insult to Injuries" click here. David Ackerly. Picture © American Bar Association. David Ackerly, Director of Private Attorney Involvement at the Legal Aid Foundation of Los Angeles, has received the National Association of Pro Bono Professionals Tanya Neiman Award. The award is named after the long-time Executive Director of the Volunteer Legal Services Program of the San Francisco Bar, who died of ovarian cancer in 2006. The award is given to a pro bono professional who has demonstrated a steadfast commitment to pro bono, given exceptional service and achieved outstanding results. "Tanya was a very dear friend, and I am tremendously honored to receive this award which bears her name," said Ackerly. "She inspires me daily; her spirit and optimism live on through me, as they do through the countless lives she touched." For more information on David Ackerly, click here. Georgine did not know where to turn. She learned that her former husband was sexually abusing their 3-year-old son during his parental visits. Georgine could not afford to hire an attorney. After hearing about Legal Aid of North Carolina, she visited its Greensboro office and found the advice she needed. Her lawyer helped her obtain a protective order against her former spouse, gain legal custody of her child and stop the abusive visitation. For Georgine and her son, access to the legal system bridged the difference between shattering domestic violence and newfound security. Legal Aid of North Carolina is a statewide, nonprofit organization providing free legal assistance to children, the working poor, the disabled, the elderly and others living in poverty. Last year in North Carolina, more than 25,000 clients like Georgine were served. As lawyers, we believe it is crucial that our fellow citizens understand that the inability to access our judicial system has dire consequences, not just to the individual involved but to our community. To have a legal right means little if one is unable to protect or enforce that right. Individuals who cannot pay a lawyer are provided counsel only in the criminal system. Legal Aid steps into this void, performing a service to needy individuals and to the community. In addition to providing experienced lawyers, Legal Aid eases pressure on an overburdened court system by resolving more than 70 percent of its cases without going to court. In a democratic society, the protections of the law must be available to all. If access to justice is denied to some, it diminishes what it means for any of us to be a citizen. The writers are attorneys and co-chairpersons of the local Access to Justice Campaign for Legal Aid.